A Perfect Measure sample of the third annual version of Laphroaig's limited-edition aged releases. 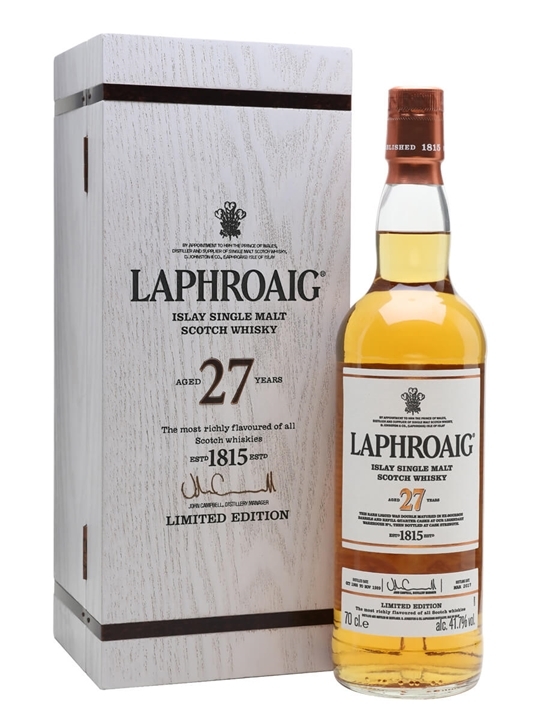 This 27-year-old whisky has been matured in a combination of first-fill bourbon barrels and refill quarter casks. Smoky and fruity with notes of citrus fruit, leather and sea spray. Sampled this at a gathering of the Boise Scotch & Cigar club. Laphroaig is already my favorite. This is unbelievably smooth and satisfying. More complex and layered than the 15 yo. Substantially less bight/burn compared to the 10. Simply the best scotch I have ever tried.